13.3 Inch Microscope display use VGA+HDMI Monitor is with IPS Panel high definition and high resolution. It is workable for normal hung rod use. Aluminum alloy case make it light in weight and portable for us. HDMI input only makes it with a high quality picture image. A special design for hung rod use make it can be used in microscopy and medical test. Install method wall mount or with bracket. Optional for VGA+HDMI input. Similar structure have 11.6 inch and 12.5 inch for options. We also have other industrial monitors for automatic applications, CCTV monitoring and computer monitors. 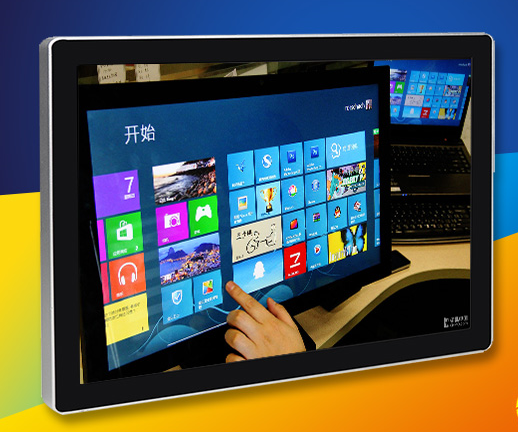 Shenzhen Bolinia Technology Co., Ltd. is a manufacturer for 7-32 inch LCD Monitors and displays since 2004. Original factory with assembling line in Shenzhen. Product ranges from plastic monitor, Metal Monitor , Resistive Touch Monitor, Capacitive Touch Monitor, Open Frame Monitor, Embedded Monitor, SDI Broadcasting Monitor, HDMI portable monitor and android touch all in one PCs. Square monitor or wide screen monitors are available with different resolutions. Members in Ali, Global Sources and Made-in-China. Portable HD monitor with 11.6 inch, 12.5 inch, 13.3 inch and 15.6 inch. Products mainly used in ATM, POS, CCTV security, Information checking terminal, Kiosks, BGA repairing stations, Lottery terminals, microscopes and similar applications. Portable LCD monitors perfectly compatible to PS4/PS3/PS2/Xbox/Xbox 360, game consoles, PCs, Macs, Raspberry Pi, laptops, cameras and tablets. Looking for ideal Microscope Monitor 13.3 Inch Manufacturer & supplier ? We have a wide selection at great prices to help you get creative. All the HD Microscope Monitor 13.3 are quality guaranteed. We are China Origin Factory of Hdmi Microscope Monitor 13.3. If you have any question, please feel free to contact us.